Abatement Solutions Inc.’s mold prevention services can help you avoid the expenses and health risks that come with having your Atlanta, Georgia, home or business contaminated by mold. Whether you want to prevent mold growth in a newly constructed building, or you’ve had mold remediated and want to ensure that the problem won’t return, our expert staff can safeguard your property against mold for years to come. Protecting new construction – If you’re building a new home or commercial property, you’ll benefit in many ways by having us treat it with FortiCel™. We’ll spray this VOC-free mold prevention coating on the structural framing surfaces of the building to ensure practically permanent protection against mold growth. When you have your property treated with FortiCel™, it can reduce your liability against a buyer’s mold claims down the road. Plus, a FortiCel™ mold prevention coating can be a big selling point to potential buyers, who will like the fact that the property is backed by a 25-year transferrable warranty. They’ll take comfort in the assurance that the manufacturer will cover the cost of restoring the treated surfaces back to their original condition in the unlikely event that mold grows on them. Protecting existing homes and businesses – On existing buildings that we remediate, we’ll spray a mold-resistant coating on the surfaces that are at the highest risk of mold contamination after our mold removal work is complete. The EPA-registered, low-VOC mold prevention solution that we use is ideal for treating wood, plaster, sheetrock, concrete, metal, and many other surface materials. 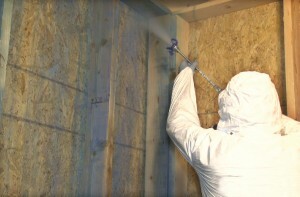 This coating will ensure that if mold spores land on those surfaces, mold won’t grow there. We have such confidence in this powerful protective coating that we back it with a 10-year warranty. In addition to our mold prevention services, we also offer expert inspections, mold mitigation, and reconstruction services to restore any mold-damaged surfaces, making us the only company that you need in order to return your building back to normal after it has been contaminated. For more information about how our services can protect your Atlanta, GA, home or business against mold contamination, contact the mold experts at Abatement Solutions Inc. today.